Granite Consulting's Talent Search Practice focuses only on the placement of Recruitment and HR talent in permanent and contract roles of all levels. Granite Consulting's success is primarily due to our targeted and trusted approach to our clients' needs — we don't believe in a "post and pray" method to recruiting talent. Granite Consulting leverages our strong network of HR and Recruitment professionals to not only refer top talent, but to assess and recommend the capabilities of their referred candidates. We utilize qualified referrals of top HR and Recruitment talent from sources we know and trust, and who have worked directly with the talent they are referring. All of our candidates come to us with extensive background and references already completed, which allows us to focus only on the top candidates for our clients. Granite Consulting has also taken the networking approach to sourcing to a higher level, which we believe is unique in our industry. Granite has exclusive access to 2 of Canada's largest professional networking groups for HR and Recruitment professionals — HRNG and RNG. Combined, these groups have over 30,000 members that Granite can tap into to help identify top talent including passive job seekers. We focus on the best and brightest talent within the market and leverage our trusted network for insight and feedback on all of our candidates. The Partners at Granite do not have typical "agency" recruitment backgrounds, and this is reflected in our approach. We are former Senior Corporate Recruitment and HR Leaders who understand and appreciate the unique challenges facing Corporate Recruitment and HR Leaders. Our advantage is our experience and the extensive knowledge we have of the roles we recruit for. 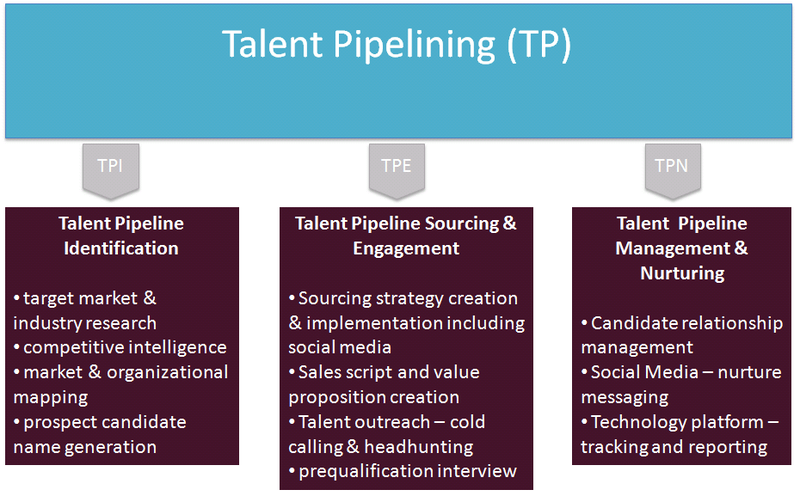 Granite's Talent Pipelining managed service includes project scoping and implementation, weekly and monthly performance reporting, and regular market and competitor intelligence updates. Risk mitigation - we do the direct head hunting for you. Granite Consulting has unique access to the best pool of Sourcing and Recruitment Research Specialists in the market. Granite Sourcing Specialists have unparalleled access to the best and most innovative tools and practices in the industry. 100% of market and candidate research, including profiles and resumes generated are the property of the client.